Send your kids to school on Valentine’s Day with these free printable Valentine cards for school, they are so cute! Choose from your favorite designs, colors, and styles for your kids Valentine cards for classmates. As Valentine’s Day draws near, my kids always pester me to go to the store and buy boxed classroom Valentines for kids in their class at school. 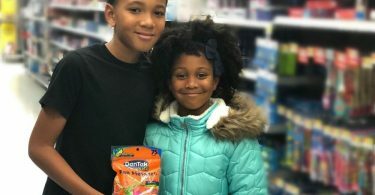 The problem is that I typically need to buy 4 boxes to cover all of the kids – that’s two for each kid – and everyone ends up getting the same thing! 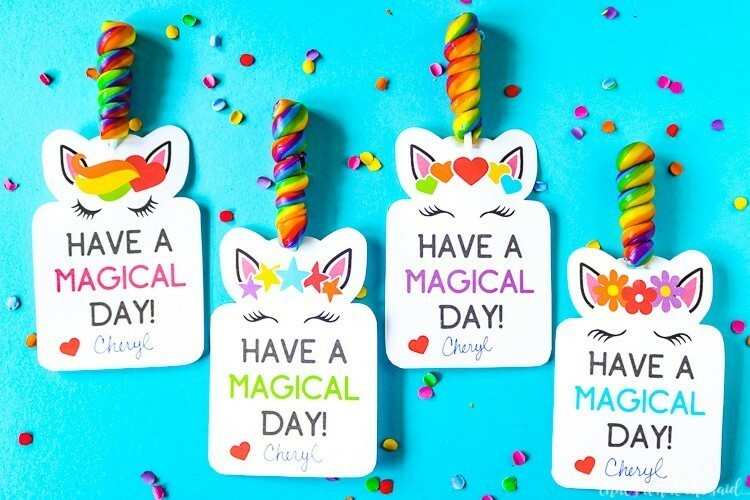 No more, because these super fun printable Valentine cards for classmates are a great way to give unique Valentines, so easy to print at home! Check out the best printable Valentine cards for the classroom on the web listed below. 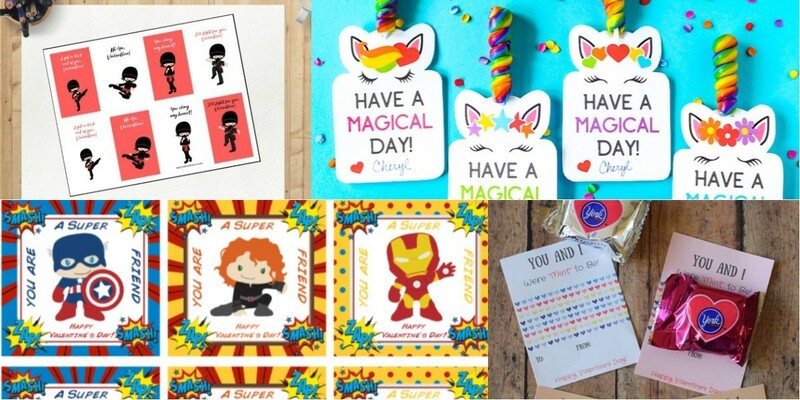 There are so many fun designs to choose from – Star Wars, ninjas, pencils, Shopkins, glow sticks, and more – so you can bet there will be Valentines day ideas for school that your kids will love! Print out your favorite classroom Valentines for kids…. These fun Valentine’s Day printables are attached to a box of crayons to make fun classroom Valentines for kids! 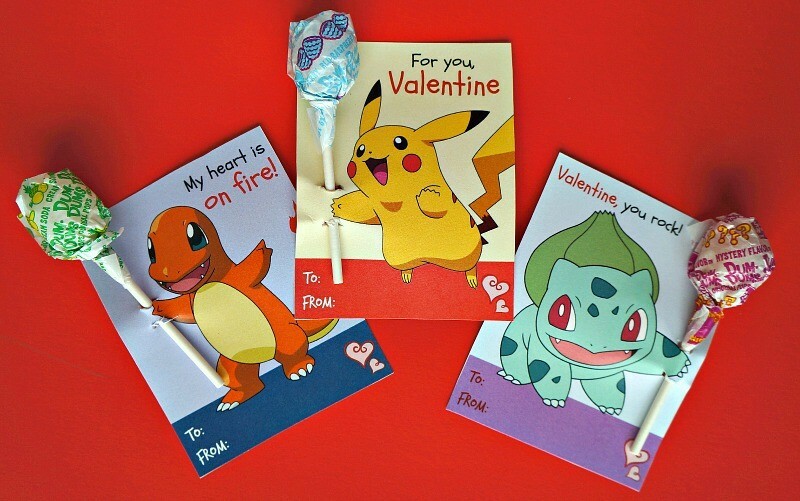 Pikachu, Charizard, and more friends help you show your love with these fun Pokemon printable Valentine cards for classmates. 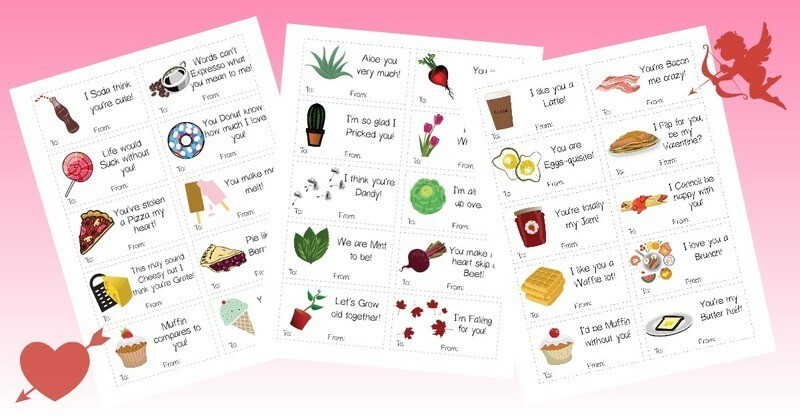 These fun printable Valentine puns will make any kid laugh, all about different foods! This printable classroom Valentine is the perfect non-candy treat. 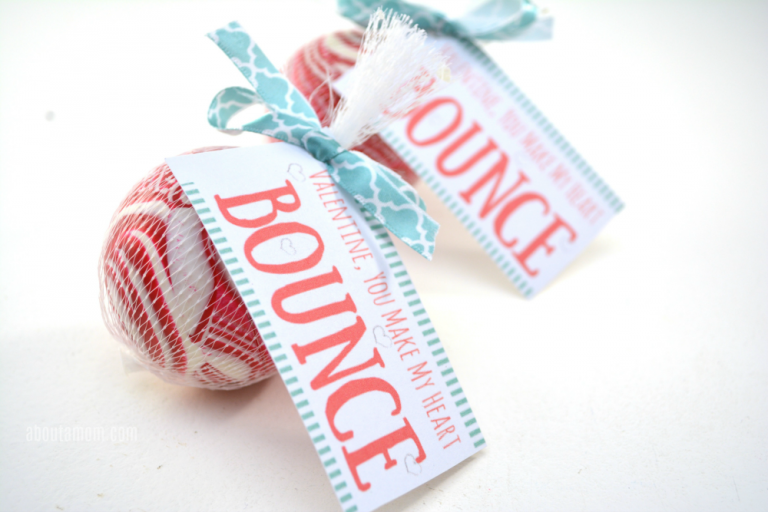 Just grab some bouncy balls and print this cute tag! 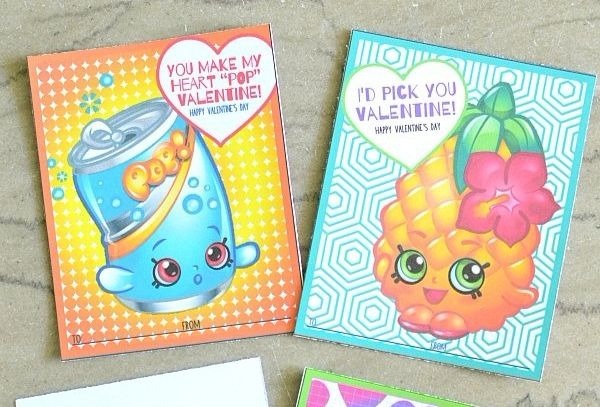 If your little girls love Shopkins, these school Valentine cards are right up your alley! 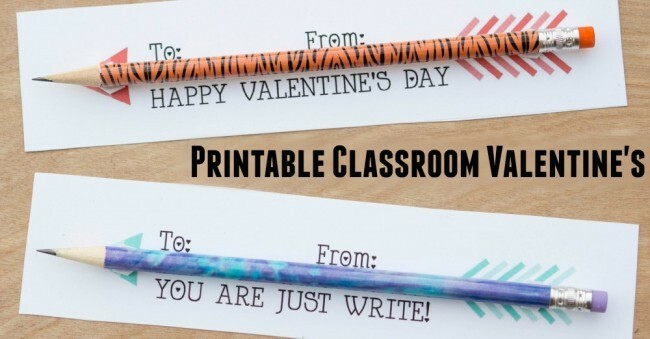 Share why your friends are “just write” for you with this fun pencil arrow classroom Valentine idea! 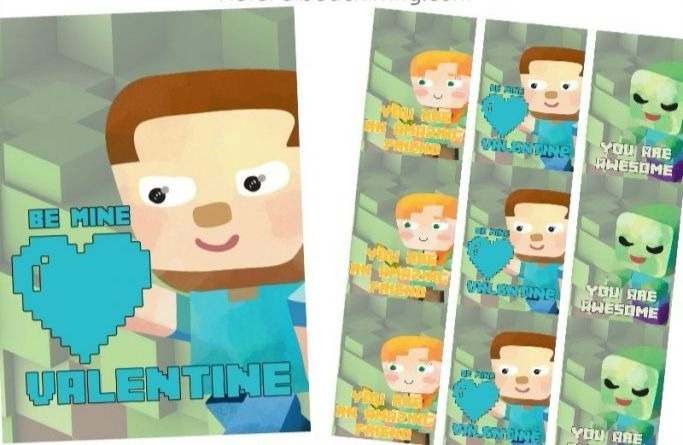 These Minecraft classroom Valentines for kids are a fun way to tell classmates how awesome they are! 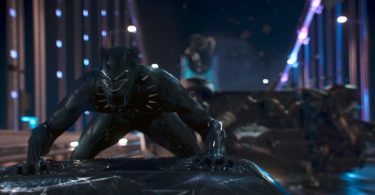 Superhero lovers, unite! 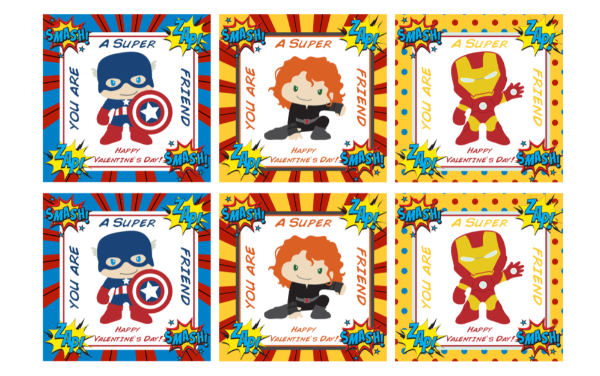 These printable classroom Valentines are perfect for your superhero loving friends! 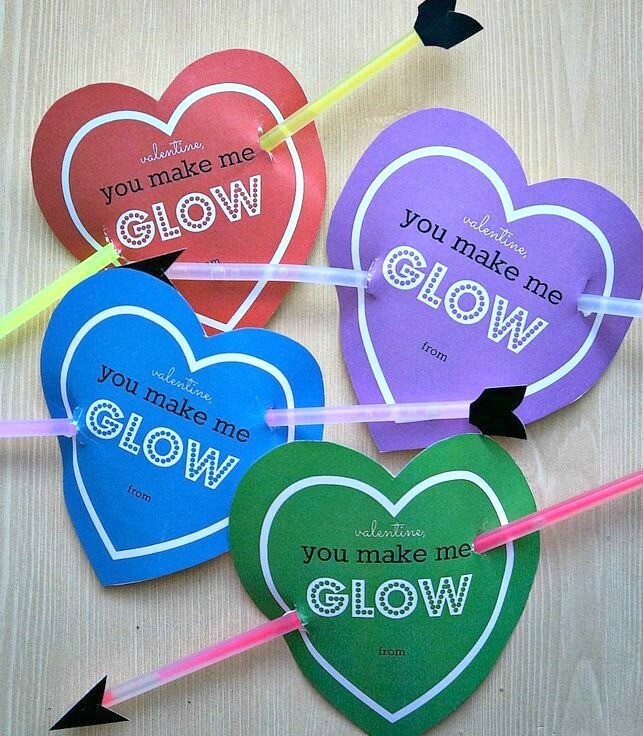 These free printable Valentine cards for school have a glow stick and show how your heart can glow! 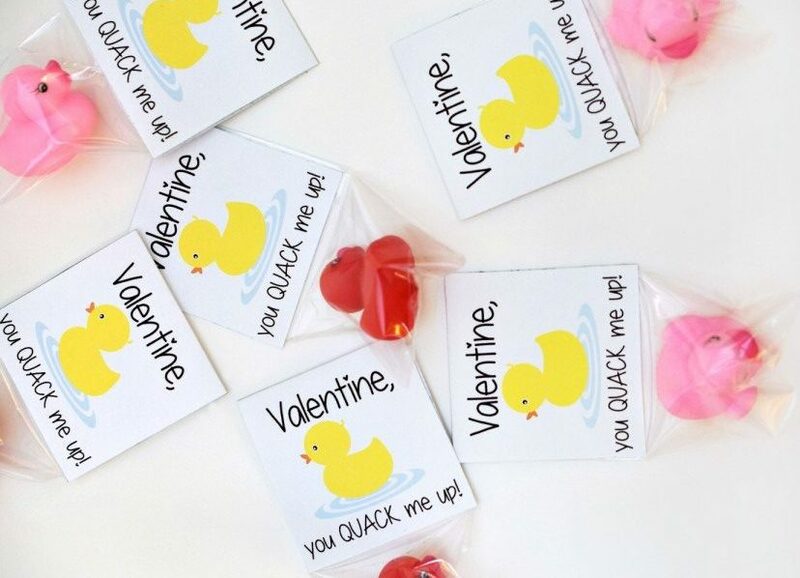 Little ones will love these rubber ducky Valentines, you buy the ducks and print out these free printable Valentine cards for school! 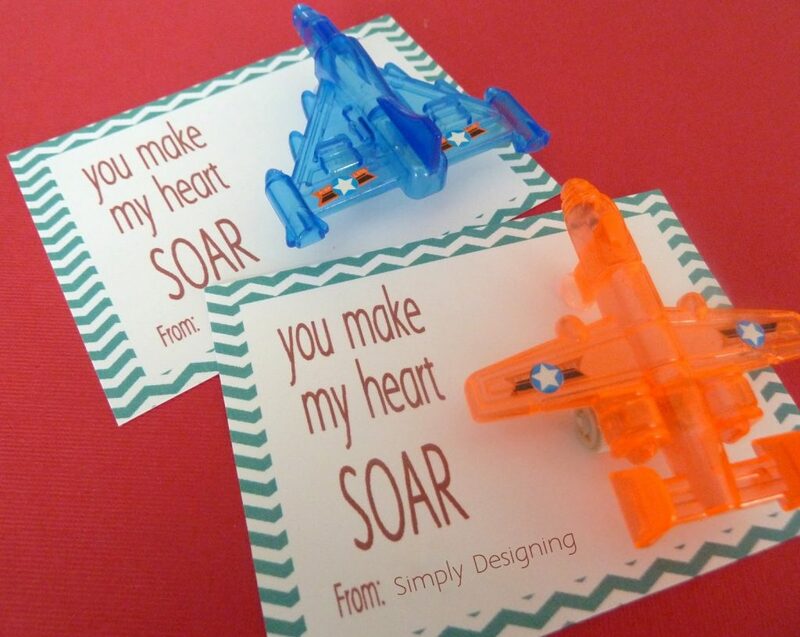 Airplane lovers will enjoy these cute free printable Valentine’s day cards! Who doesn’t love a beautiful unicorn?! 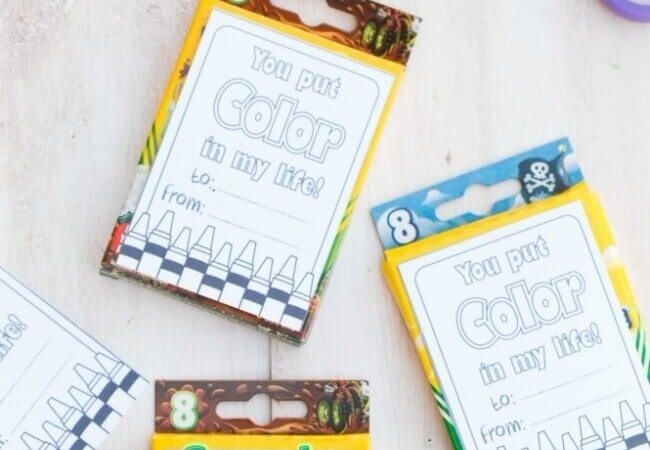 These kids classroom Valentines will definitely impress the girls in the class! 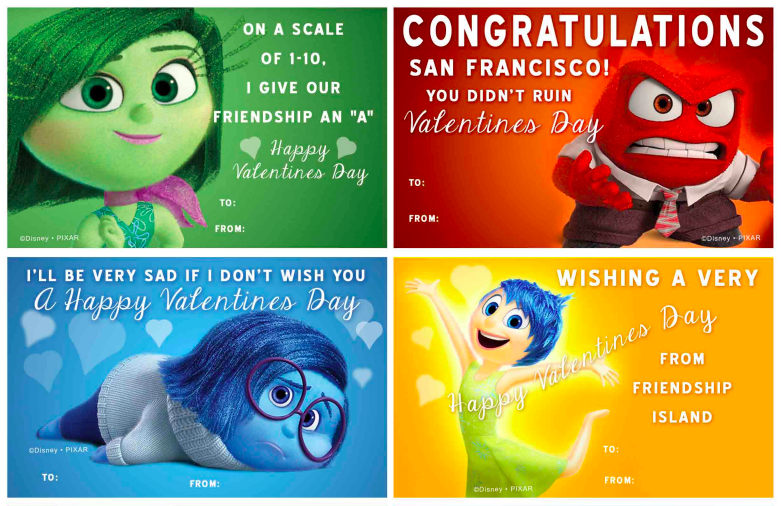 Share your emotions with these fun Inside Out themed printable classroom Valentines! 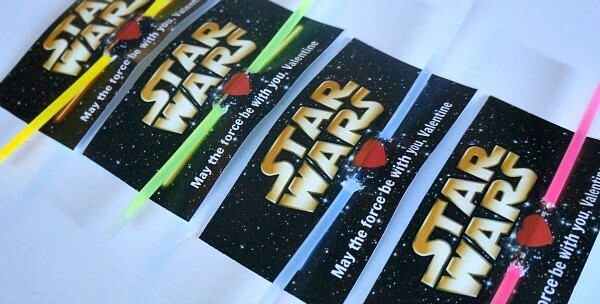 Stay ready for battle in the galaxy with these cute Star Wars light saber Valentine’s day cards for classmates! 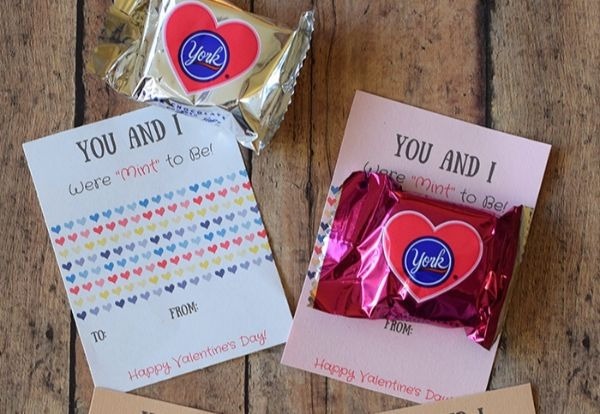 Attach a peppermint patty to these cute classroom Valentine’s day printables and you’ve got a fun V-day treat! 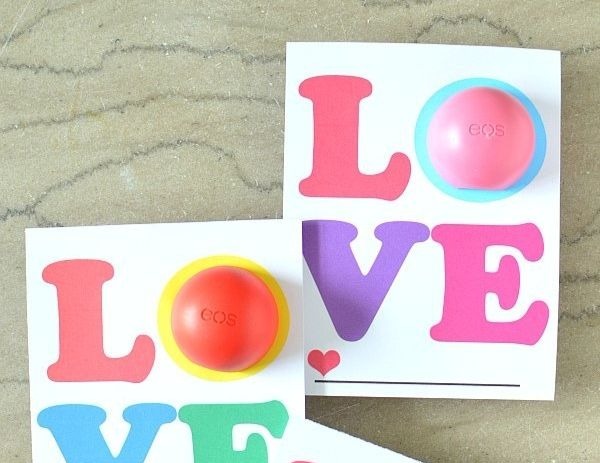 Show your love with this EOS lip balm LOVE printable Valentine card for kids. 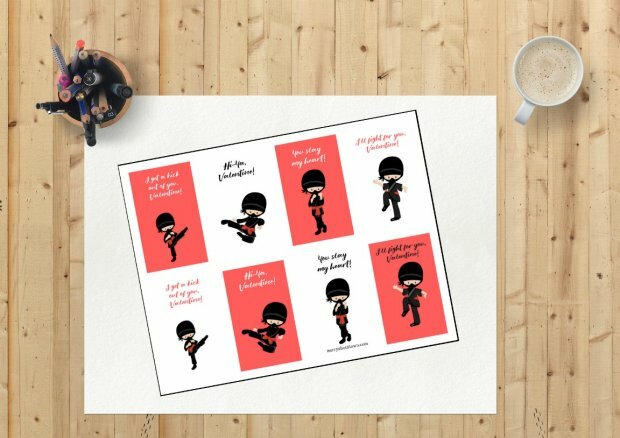 Kick it to your friends with these ninja printable school Valentine’s day cards! 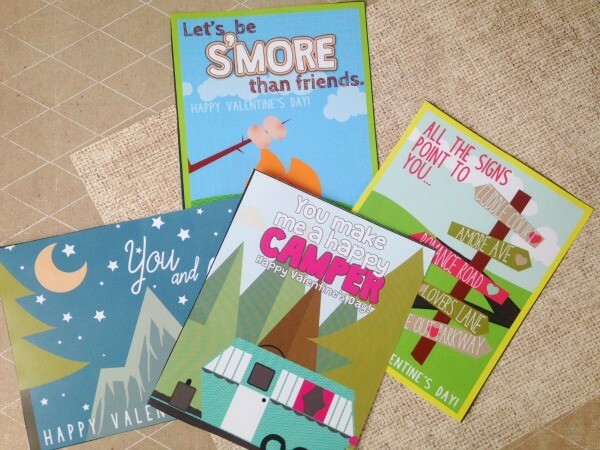 These vintage printable classroom Valentines for kids are really cute, and perfect for camping fans! 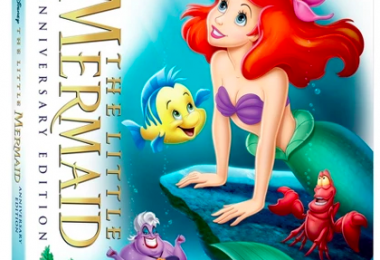 I think “Let’s be s’more than friends” is adorable! 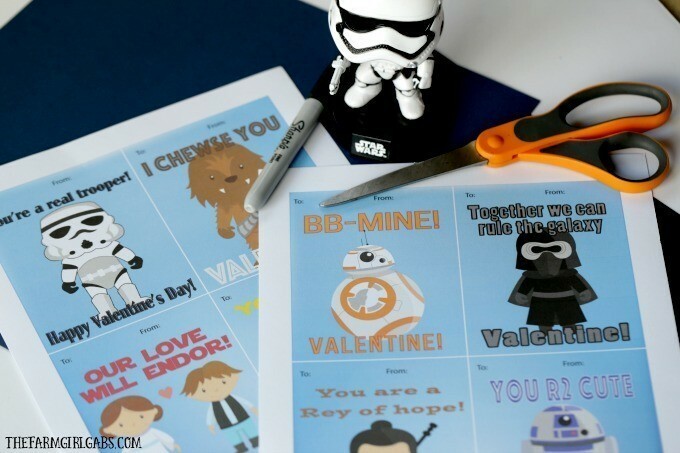 Print out these simple Star Wars Valentines, easy and fun school Valentines day cards. 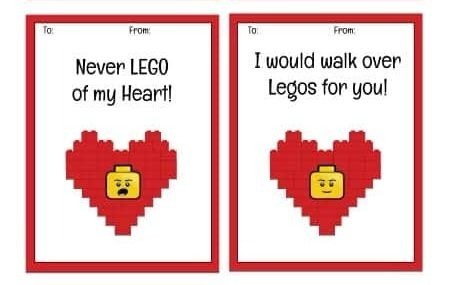 These kids classroom Valentines are really cute! 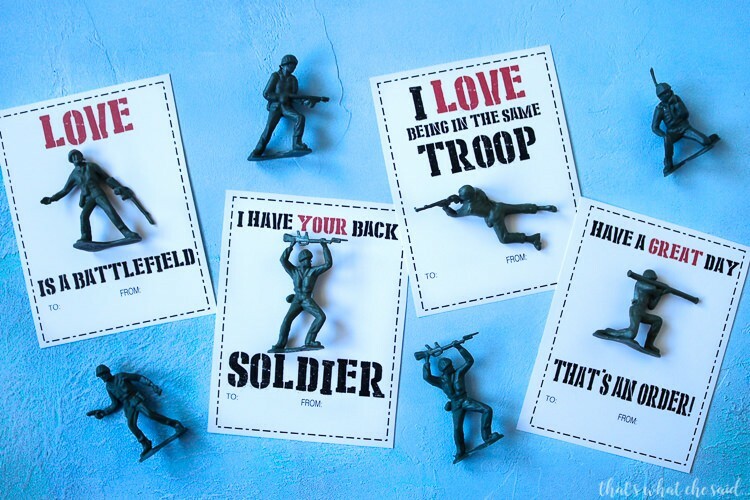 Pop into the dollar store and grab a bag of army men to make this fun classroom Valentine! Kids love little toys, so these are really fun school Valentine’s day cards. 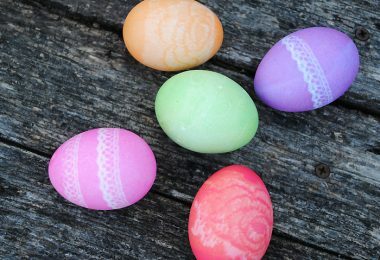 Looking for more Valentine’s Day ideas for school?